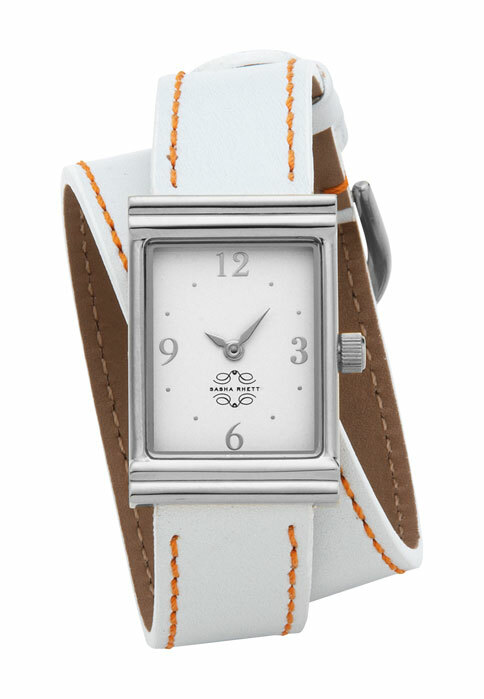 Click the button below to add the Stainless Steel Rectangular Watch with Double Wrap Strap - White Leather Orange to your wish list. Case is 20 x 23mm. 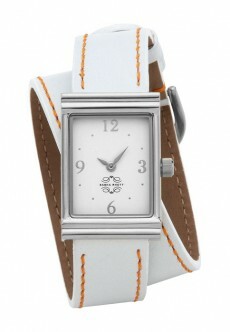 Strap is 16mm wide at point of entry into watch. Double strap wraps twice for maximum strap exposure, available in genuine ostrich, snakeskin, leather and patent leather.